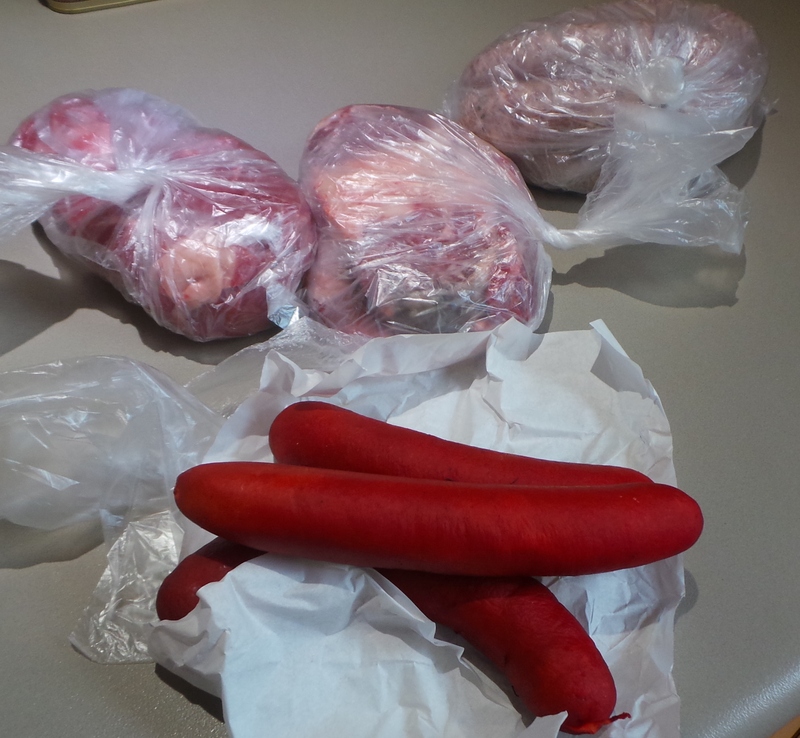 It was a remarkably uncomplicated shop as half of it was done at the butcher’s. This butcher appears to be a local institution. 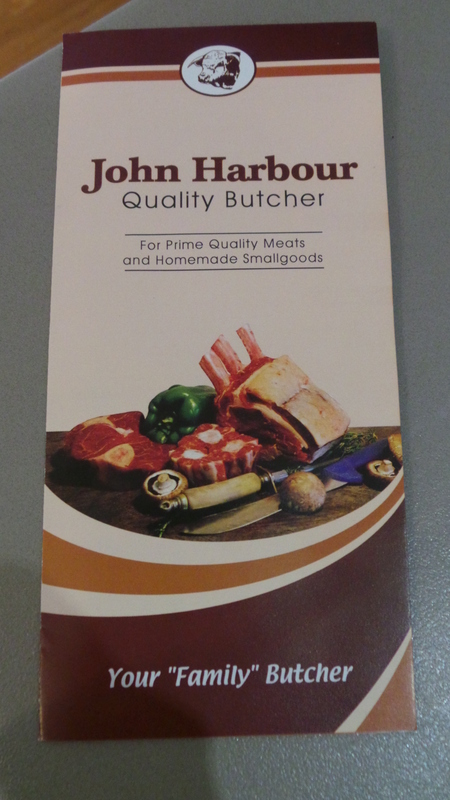 You’ll often find him mentioned on menus in restaurants around here: “Made with John Harbour Porterhouse Steak,” that sort of thing. Apparently he grows and butchers his own beef and pork and he clearly loves his trade. Doesn’t look all that appetising, does it? Now, I could have bought an awful lot more for that $40 at Aldi, but it wouldn’t have been of the same quality. I had the money to spare this fortnight, so I spent it. This is going to make at least 12 meals, if not more, so around $3 a meal. Which means it’s actually affordable. This is the rest of my purchases. So that comes to $95.08 all together. I have yet to buy eggs, which will use the last of the money allotted. However, I’ve decided to go over a little anyway. I want to go to the market on Saturday and stock up on some beans and grains. But, even if I go utterly berserk, I won’t spend more than $20 there AND those things will last for months. You may have noticed a lack of fresh veg. Well, our crisper is still well-stocked and we have oodles of frozen vegetables as well. Don’t fret. That’s $100 for the fortnight – for 2 people.